The Macedonian government said Wednesday, February 13, it had officially informed the United Nations of the country's new name following its historic agreement with neighboring Greece. Fast forward to Tuesday, and North Macedonian President Zoran Zaev presented the hoisting of the NATO flag together with the country's national flag outside a government building in the capital, Skopje. The small Balkan country of Macedonia officially changed its name Tuesday by adding a geographic designation that ends a decades-old dispute with neighboring Greece and secures its entry into North Atlantic Treaty Organisation. The country's defence minister, Radmila Shekerinska, noted her excitement to be the first minister to represent North Macedonia at the NATO headquarters in Brussels for a two-day meeting of defence ministers. Greece had blocked membership because it saw the previous name as a threat to its own Macedonia region. 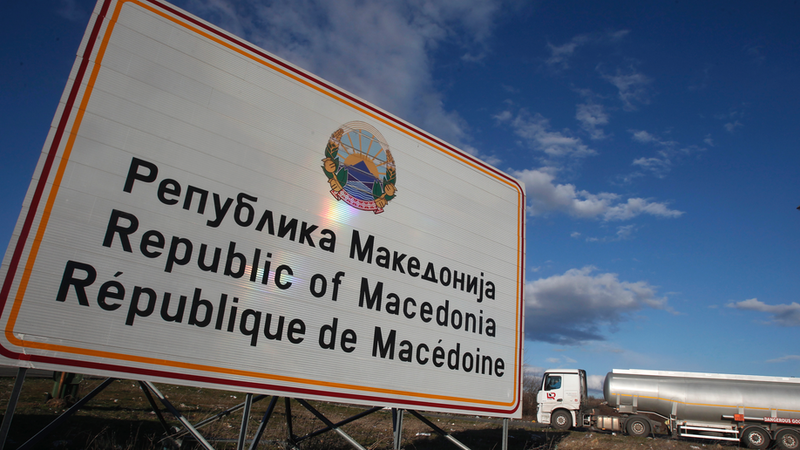 Workers were removing "Republic of Macedonia" road signs at a border crossing with Greece Wednesday, a precursor to a series of steps the country will take as part of the agreement, including changing signs at airports, on official buildings, web pages and printed materials. But following a 28-year dispute, Greece's parliament finally came to an agreement in January on a name change for FYR Macedonia, to the Republic of North Macedonia.